A big question when choosing a ring for a surprise proposal is what size to purchase. In general, it’s only a modest inconvenience if the ring isn’t perfect because rings are able to be resized, right? Except when they aren’t. Actually, most rings can only be adjusted about 1-2 sizes. (Only about ½ size if the ring is stretched instead of cut.) That alone is a narrow margin for a lifetime of wearing a ring! 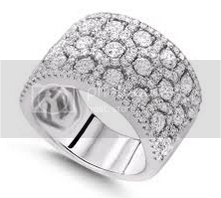 And did you know that certain ring types are difficult if not impossible to alter? For reference, here are 3 issues that can prevent you from resizing your ring. 1. Material – Titanium, tungsten, and stainless steel rings are permanently cast. Once the metal is set, it is extremely difficult to rework and it’s unlikely that you will find anyone up to the task. Glass, solid stone, or wooden rings are impossible to resize without completely refashioning the ring as well. This is a shame as alternative metal and non-metal rings are trending. 2. 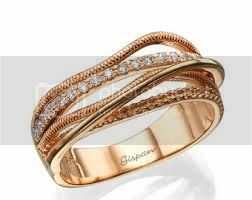 Design – Rings with a continuous design all the way around the band create a conundrum for jewelers. By cutting the ring to add or remove material, the original design of the band is broken. Extra steps may be involved to restore the design, if it is even possible. This may come at the expense of diamonds/gemstones, engravings, or other elements of the design if they are in the way. To combat this, most women’s rings have a section of plain metal at the back of the ring to accommodate changes. Men’s rings tend to be uniform in design all around but are particularly susceptible to a discontinuous feeling if evenly space elements on the band are separated or pushed together. 3. Settings – Stone settings on any ring may be compromised by bending the band. Certain settings, however, are especially effected by this. Pavé and micropavé settings rely on a very specific angle to achieve their gapless appearance. 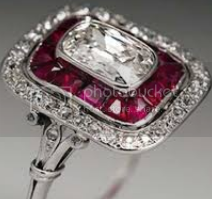 In addition to ruining the aesthetic, changing the angle of the setting may cause the stones to fall out of the ring. Likewise, tension-based or invisible settings become very unstable when the shape of the band is distorted.